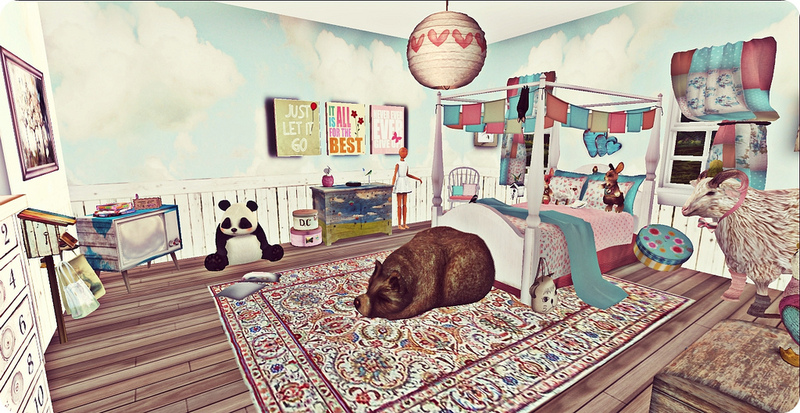 Today I thought I would share with you one of my favorite places, my bedroom! 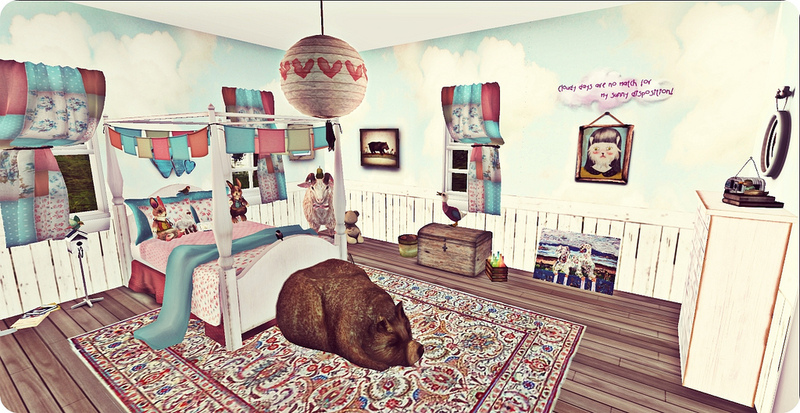 I wanted to create a space that was both whimsical and girly, kinda like me. :) I collected several pieces of furniture from different places and am still finding new things to add. In the corner you can see my sheep Jude. Then Billy Bob is my bear who keeps guard while I sleep. Lastly, Ernie found his perfect spot next to the tv. This is my safe place. A place to rest my head. My room.